So many of us still mourn the delisting of Marble Blast Ultra. It was one of the classic greats of Xbox Live Arcade, and still has no equal in its genre. Those who missed out may never know the joy of the marble genre. There’s something about feeling the weight of the marble in your thumbstick while trying to navigate stupidly hard (read: extremely hard) levels. 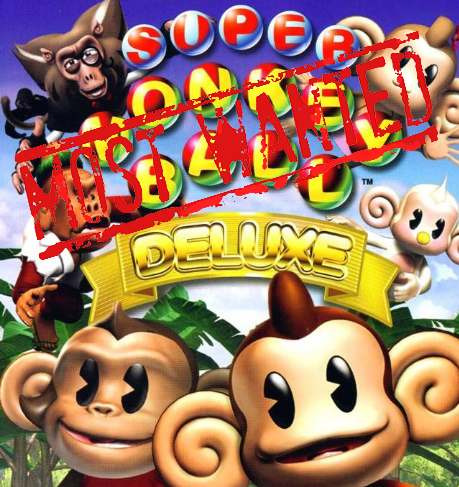 The Super Monkey Ball series is a different spin on the same idea. Instead of controlling the marble (in this case a monkey inside a clear ball) players have control of the game world. The left thumbstick tilts the world in a given direction, then gravity does the rest. 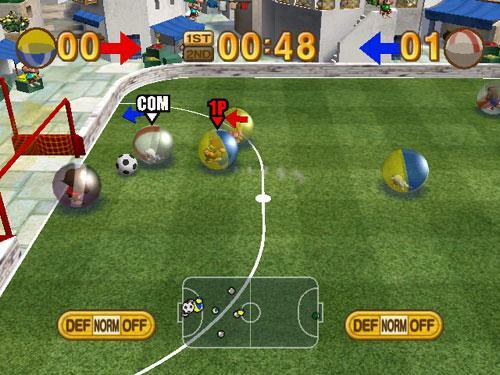 Super Monkey Ball Deluxe added several fun minigames such as soccer and bowling. Super Monkey Ball Arcade would take all of those ideas and…well, roll with them. New isometric game mode – One aspect of marble games that hasn’t been captured on XBLA is the classic Marble Madness-style isometric mode. Hamsterball accomplished this on the original Xbox’s version of XBLA, but the game was never ported to the 360. Bringing isometric levels to Super Monkey Ball would help the game to be something players pony up for. Guest characters – The property is owned by Sega, and Sega has a large vault of characters that would be great to put in the game. How about Sonic, Tails or Knuckles inside a ball? How about a ball that looks just like Eggman? Why not Beat from Jet Grind Radio? People love extras, but unfortunately Sega’s XBLA portfolio consists of raw ports thus far. Hopefully they’ll see the wisdom in doing a bit more. 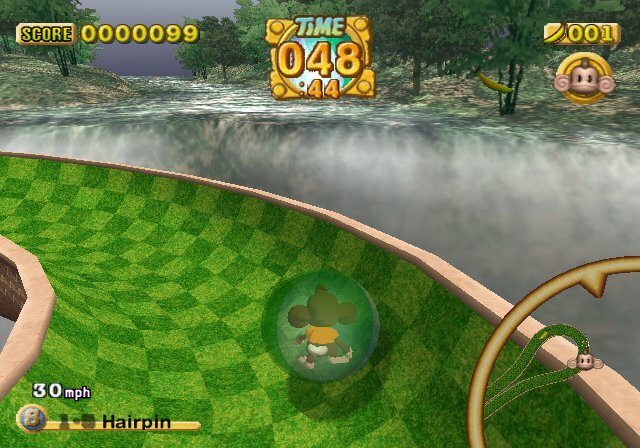 Hair-raising gameplay – Every Super Monkey Ball game has one thing in common: putting you on the edge of your seat as you try to keep your monkey from suffering the eternal fall of death. It’s an adrenaline pumper as the levels get progressively faster and more difficult, and a trademark of the series. Humor – The fact alone that there’s a monkey inside a ball should be tongue-in-cheek enough to demonstrate how funny these games are. There’s just a certain quality that makes you smile, even when nothing inherently funny is happening. The marble genre no longer has a reigning king on Xbox Live Arcade. With Marble Blast Ultra delisted there really aren’t any competitors to take the throne. 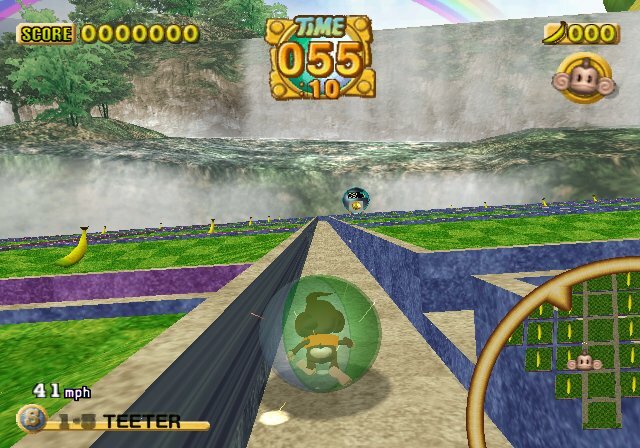 Super Monkey Ball Arcade could be the game to take its place. It comes from a long line of great marble titles, and with the additions listed above it’d be difficult to dethrone the spherical simians.